Mt. Bachelor is situated within the Deschutes National Forest in the scenic Cascade Range of central Oregon. Only 22 miles outside of Bend, Oregon, along the Century Divide Highway, Mt. Bachelor ski area offers a modern lift infrastructure and updated amenities within 40 miles of nearby Redmond Municipal Airport. Mt. Bachelor is approximately 115 miles south of Portland. Central Oregon provides a dry climate, plentiful sunshine and excellent weather conditions for sunny days on the mountain. Mt. Bachelor’s top elevation is 9,065 feet, providing 360-degree views from its summit and a vertical drop of 3,365 feet. An average annual snow base of 150-200 inches and an average annual snowfall of 462 inches fall on the 4,318 skiable acres and 101 runs. Mt. Bachelor usually opens in November around Thanksgiving. Central Oregon, the town of Bend and Mt. Bachelor ski area are excellent options for summer recreation and bike riding in particular. Bachelor’s mountain bike park is a popular option for village visitors after the ski area’s winter closing date. Mt. Bachelor lodging options are based out of Bend and Sunriver and many of the properties offer transportation via the Mt. Bachelor Shuttle. Mt. Bachelor has terrain suitable for all ability types ranging from long groomed cruisers to expert chutes and steeps. 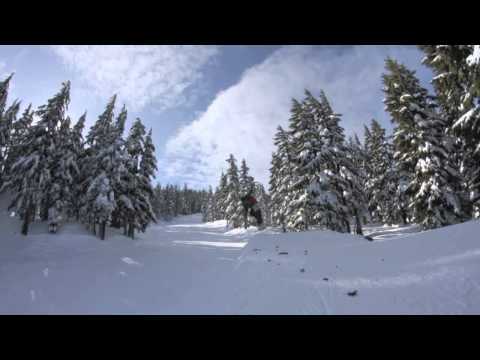 The ski area is one of the largest resorts in the Northwest and offers abundant terrain options. The resort is becoming famous for its freestyle terrain and has made significant improvements to the terrain parks. 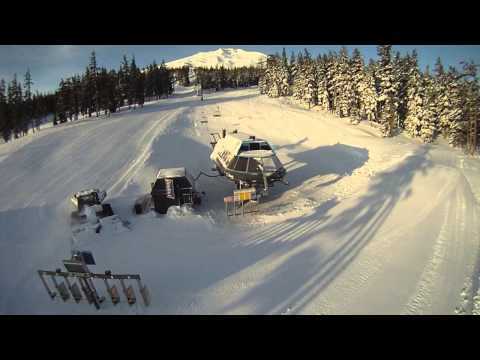 Mount Bachelor is technically a strato-volcano atop a shield volcano situated along the Cascade Volcanic Arc. The volcano last erupted approximately 10,000 years ago. Mount Bachelor gets its name for being isolated from the Three Sisters, a group of three volcanic mountains that are northwest of Mount Bachelor.